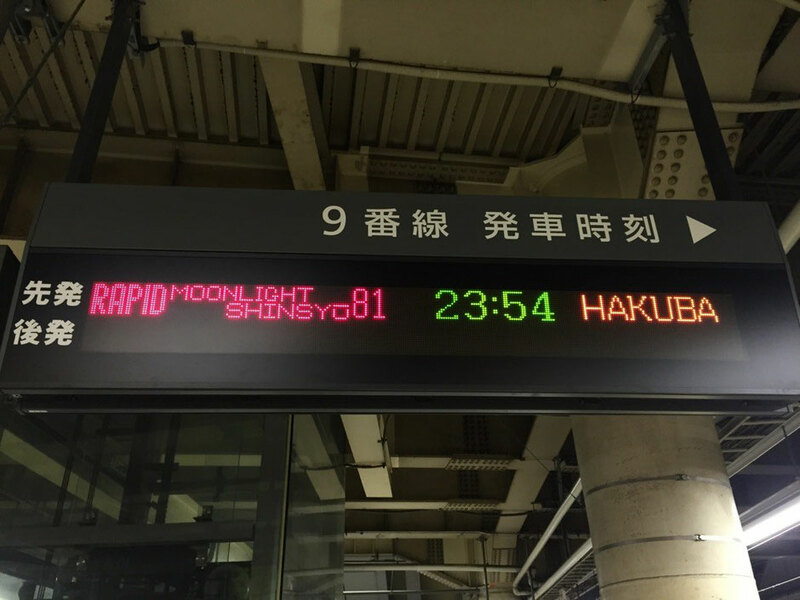 Moonlight Shinsyu train is running from Shinjuku to Hakuba in Nagano during night timeand it's available at limited date only. 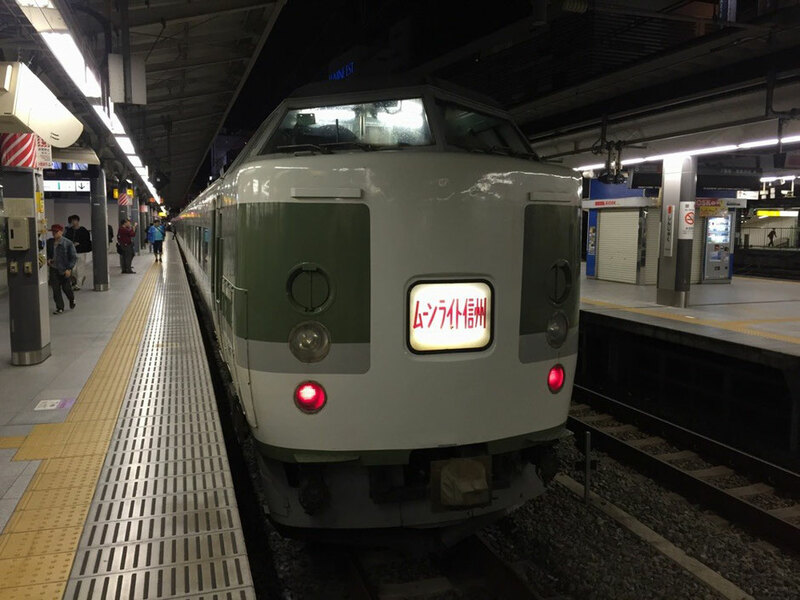 From Tama area, you can get on this train at Tachikawa and Hachioji station with both reserved seat ticket and train ticket. 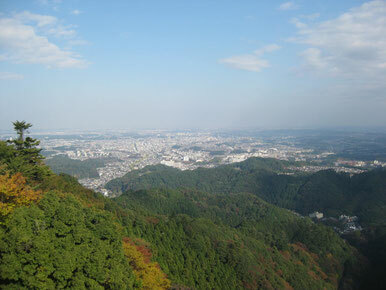 It would be hard to get the reserved ticket, it would be better to ask JR East staffs or travel agents.